Since politics is a distraction, consider the following retelling of the WikiLeaks tale. An activist dies in a traffic accident. CCTV footage from a bank nearby suggests he might have been murdered but the case is never investigated properly. Three years later, a newspaper publishes what it says is an American Embassy cable sent a few days before that suspicious accident. In the cable, a U.S. diplomat quotes a multinational company executive talking loosely about how he paid money to some criminals to convince the activist to get out of his way. How would a civilised country which values the rule of law react to such a disclosure? Would the government cite technicalities about the “unverified and unverifiable” nature of the “purported” cable and the executive’s protestation of innocence and not even bother to ask the police to look into the matter? Or would it reassure the nation that even though the information is unverified, it will do its best to find out the truth? 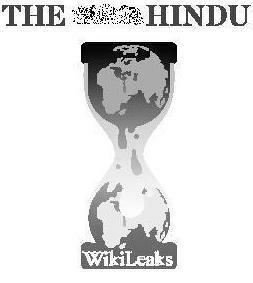 In the face of the political firestorm that The Hindu‘s publication of a secret U.S. Embassy cable about payoffs to MPs has generated, all that the people of India needed was an assurance from the UPA government that the serious crime of bribery, if established by a proper investigation, would not go unpunished. What they got instead was cynical obfuscation. Speaking in Parliament on the subject, Finance Minister Pranab Mukherjee and Prime Minister Manmohan Singh have mounted a ‘technical’ and wholly ineffective defence of the government. The July 17, 2008 cable sent by U.S. 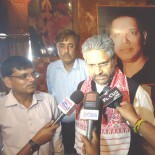 Charge d’Affaires Steven White stated that a Congress politician named Nachiketa Kapur — described as a “political aide” to Captain Satish Sharma, M.P. — showed an Embassy staff member “two chests containing cash and said that around Rupees 50crore-60 crore (about $25 million) was lying around the house for use as pay-offs” to MPs to ensure that the Manmohan Singh government won the confidence vote that was set for July 22. The cable, which was accessed by The Hindu from WikiLeaks, also quotes Mr. Kapur saying Ajit Singh’s Rashtriya Lok Dal was paid Rs.10 crore for each of its MPs. In the face of this damaging information which is contained in a secret cable that was never meant to be publicly circulated (that too in a redacted form) till at least 2018, Mr. Mukherjee and Dr. Singh made five lame points. First, the Finance Minister told Parliament on Thursday that since the allegation of bribery applies to the 14th Lok Sabha which has since been dissolved, the 15th Lok Sabha had no locus standi to discuss the issue. Third, the Finance Minister said the information about bribery in the cable would not be considered admissible evidence in any court of law. The Prime Minister added that “many of the persons referred to in those reports have stoutly denied the veracity of the contents,” as if the country ought to be satisfied by mere protestations of innocence by the accused. The government’s fourth argument was that a Parliamentary committee had probed the matter and concluded that there was “insufficient evidence.” Finally, the Prime Minister took refuge behind the “court of the people,” declaring that since the Congress got re-elected in 2009 the charge of bribery had been “rejected by the people.” By this logic, the Congress has no right to accuse Narendra Modi of complicity in the 2002 massacres since this allegation has been “rejected by the people” not once but twice. Instead of hiding behind technicalities and dubious political arguments, government managers could have defused the crisis by promising that the information contained in the cable would be probed. It is nobody’s claim that the contents of a U.S. Embassy cable should be treated as gospel truth. Of course, the reason the cable struck a wider chord is because there is corroborating evidence of bribery having taken place in the run-up to the confidence vote. There are video recordings from a sting operation conducted by CNN-IBN and a Parliamentary committee tasked with probing the matter in 2008 felt there was enough material for the appropriate investigative agencies to conduct a probe. That said, the Embassy cable’s contents still need to be verified. Captain Satish Sharma, Nachiketa Kapur and Ajit Singh have all said the allegations against them are false. Captain Sharma has denied Mr. Kapur was ever his political aide and the latter has said he had only passing contact with the Congress MP and with U.S. Embassy officials. Are they lying? Or was the U.S. Embassy staff member being economical with the truth when he told the Charge d’Affaires he had been shown the cash? A proper police investigation conducted by an agency like the CBI under the supervision of the Supreme Court can certainly make a fair attempt to establish where the burden of truth lies. Mr. Mukherjee is right that the cable is sovereign diplomatic communication but India can surely request its “strategic partner” to help probe an allegation that has diminished the country’s democratic institutions in the eyes of its people and the world. For starters, the U.S. can be asked to identify the unnamed Embassy staff member. If he was an Indian employee or an American without diplomatic status, there would be absolutely no problem in the CBI recording his statement and asking him to join a criminal investigation. He could tell us, for example, where his conversation with Mr. Kapur took place. The staffer reported back to Mr. White that he was told Rs.50 crore or Rs.60 crore was “lying around the house.” Which house was he referring to? Even if the Embassy “staff member” was a diplomat — one theory is that it was the Political Counsellor himself who dropped his descriptor because he had inadvertently become party to a criminal act — diplomatic immunity would not come in the way of him informally helping the police in their investigation. India can also ask the U.S. to waive his immunity. Moreover, the call records of Captain Sharma and Mr. Kapur can be examined to fix their physical locations and ascertain the nature of their relationship, especially on the day the meetings mentioned in the cable took place. This can then be triangulated with the telephone number of the U.S. Political Counsellor, whose number is known to the Indian authorities. These are the minimum steps that any self-respecting democracy would want to take in the face of such a serious charge. On the eve of the July 22, 2008 vote of confidence, I wrote an op-ed in The Hindu where I said: “Even if the government wins the trust vote on Tuesday, the Prime Minister and the Congress will not be able to live down the taint of impropriety surrounding their victory.” The more I think about it, the more convinced I am that the listlessness, drift and corruption that so many commentators have indicted the Manmohan Singh government for in its second innings have their origins in the manner in which that trust vote was won. The UPA lost its moral centre that day, and with it, its political bearings. The Opposition is wrong to insist that the Prime Minister must resign because of the leaked cable. But he has a moral obligation to ensure the cable’s contents are investigated properly. Refusing to do so would be an act of immense political folly, especially in the light of all the scam allegations that have buffeted his government. 1) The masses are not educated enough which affects their ability to make informed decisions. 2) The economic weakness of the masses make them susceptible to manipulation. Votes are literally bought by offering small economic benefits while the larger cake is being eaten behind doors. Thus democracy cannot be allowed to be about elections alone to be effective. There have to be other pressures put on the ruling administration of the day to behave. Independence of our public institutions, judiciary and media are a must in order to exert such pressures. It is easier said than done. We should realize that corruption is already in our DNA. It is quite acceptable to us. It is only the degree of corruption that shocks us not its existence. What is shocking today may become routine tomorrow if allowed to go unpunished. We need to see who rises to the occasion this time around and what out destiny is as Indians. This entry was posted on March 19, 2011 by Siddharth Varadarajan in Indian Politics, U.S. Policy in South Asia, WikiLeaks.